To most people, one of the most crucial subsets of data is business and personal contacts. By default, Android syncs all the stored contacts in Google Drive, and even the ones you delete will not be permanently removed from the device’s memory. To retrieve your contacts, just go to the Google Contacts website, click ‘More’ and then the option named ‘Restore Contacts.’ A list of options will be provided to you. Choose the timeline to which you like to roll back, and all contacts saved in that period will be restored on your phone. While most Android users rely on the Windows operating system for their everyday computing needs, Mac OS X users can use Disk Drill 3 developed by Clever Files, which is fully compatible with Apple machines. The recovery process involves scanning your phone’s memory and SD card for deleted files to retrieve. Android data recovery software programs are easy to use and simplified for most users. Plus, the desktop versions work much better when compared to apps. If you ever encounter or found yourself in this unfortunate situation, the best way to deal with this issue is to seek the assistance of a professional to ensure you don’t do more damage and still be able to salvage your now missing files. If you can’t afford to pay for one and you think you somehow have the technical know-how to remedy the situation, you can try any of those apps that are considered the most in-demand android phone data recovery tool because they are the most user-friendly. Recovering deleted or lost data from an Android device is not something difficult to be done. You just need to follow the right steps and you will end up getting back all the files that you lost. 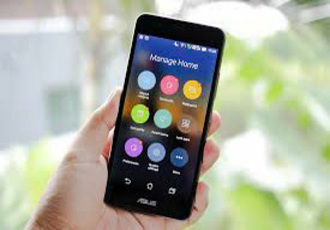 First of all, you will need to install a reputed data recovery application on your Android device. This is the most crucial steps because the app you select would determine whether you are going to end up with positive results or negative results. Therefore, you should carefully go through the online reviews and determine an app to be used. If you don’t have time to conduct a research for an Android data recovery tool, you can simply go ahead with the app that we suggested above. When you have an Android data recovery tool installed on your device, the process of getting back your deleted files is pretty much self-explanatory. To begin the data recovery process, you will need to run a scan. Time taken for the scan would vary based on the amount of data to be browsed and the overall performance specs of your Android device. However, you will be provided with a list of all files that can be recovered at the end of the day. Sometimes, common sense can go a long way when recovering lost data from your Android smartphone. Just don’t do anything rashly until you have enough time to analyze the situation and think about your next steps. Don’t make the situation more complex by causing more damage to your already lost files. Follow the indicated data recovery steps for your device and there is a big possibility you can get them back after some time. Just make sure to do your research well and choose the best recovery app you can get your hands on. The apps included in this article have good reviews too, so you may eventually use them when the situation calls for it, which is hopefully not soon.